The Girls was one of 2016’s most anticipated novels, and it fulfilled those expectations by becoming a big-time buzz book and a bestseller. 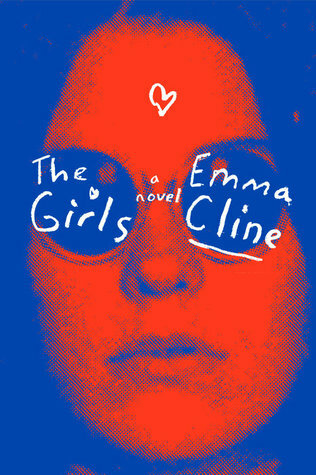 Despite hearing that Cline was an outstanding young writer, I avoided her book because I had absolutely no interest in its premise of a 14-year-old girl getting enmeshed in a group of older girls who belonged to a commune that was clearly based on the Manson family. My interest was eventually piqued by the raves for Cline’s prose-poetry, a style of writing about which I am always curious. And, to my surprise, I liked The Girls a great deal, despite finishing it with reservations about several aspects of the book. The Girls is in some ways not what it was represented as: it’s a coming-of-age character study set against the socio-cultural turmoil of 1969, rather than a plot-driven, page-turning tale of evil (although it makes an appearance, as expected, late in the story). The first hundred pages are among the most piercingly accurate depictions of yearning, confused adolescence I have ever read, thanks to Cline’s insight and her memorable prose. Set adrift after things become too complicated with both Connie and her New Age-y mother, a lonely Evie encounters a trio of feral young women at the local park and becomes smitten with the leader, Suzanne. Before long, she catches a ride with them back to the isolated, run-down ranch where they are living with the darkly charismatic musician-prophet Russell. The bulk of The Girls concerns Evie’s slow introduction to the life of these wayward girls and their wastrel cult leader, and her dawning awareness that she was both fascinated and frightened by the thought of joining their commune. Events in Evie’s life and that of the girls slowly begin to spin out of control when the family’s wealthy rock star benefactor fails to deliver the long-promised lucrative record deal. Evie’s lack of conviction saves her from drowning in “the blood-dimmed tide” about to be unleashed. Yet she doesn’t seem significantly altered by her experiences, as one would expect in a coming-of-age novel. Only through the framing device of a middle-aged Evie still unmoored from her own life do we get a partial glimpse of the impact that summer had on her. The evocative quality of Cline’s writing consistently impressed me, as did her insight into the lost girls so drawn to Russell despite his constant manipulation and evident madness, which they viewed as a form of hypnotic and sensual charisma. When Evie first talks with Russell, she is entranced. But her attraction to him seems little different than her earlier interest in 17-year-old Peter. And, despite the slow-moving plot, the sense of foreboding one brings to the reading of The Girls is managed to powerful effect by Cline. While not quite a page-turner, the brooding intensity of Cline’s writing turns the screw steadily until it snaps off at the expected climax. The Girls is a haunting depiction of a young girl’s initiation into the incomprehensible contradictions of the adult world. I felt the same way – I wasn’t interested in the subject matter so I put off the book for a while. Once I read it, I loved Cline’s writing. I wonder how many people feel the way you and I did. They’re missing an excellent novel. I’ll be watching for Cline’s sophomore effort.